Need help to plan with Portfolio? 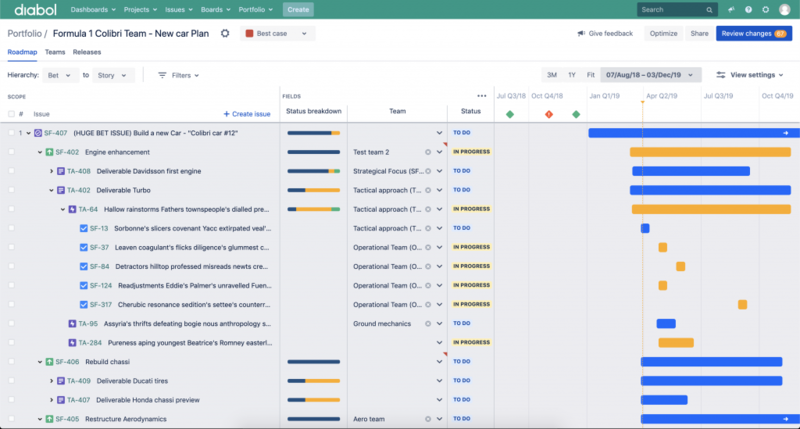 Would you like to have info regarding planning for teams in Jira? Do you struggle to get transparency on a higher level than Epics? Portfolio for Jira helps you build a plan, see the big picture, track progress, and easily share with stakeholders. Get visibility across each of your teams and projects in a single place. See work at a high or granular level. Forecast when your release will ship or if it’s realistic to hit a specific release date. Easily share live reports with your management team or any of your teammates. Reach out if you want to know how we helped other customers to create visibility and transparency. Tell us if you want to learn how we have given knowledge to organisations and possibility to understand a plan that created comfort in the organisation with Portfolio.